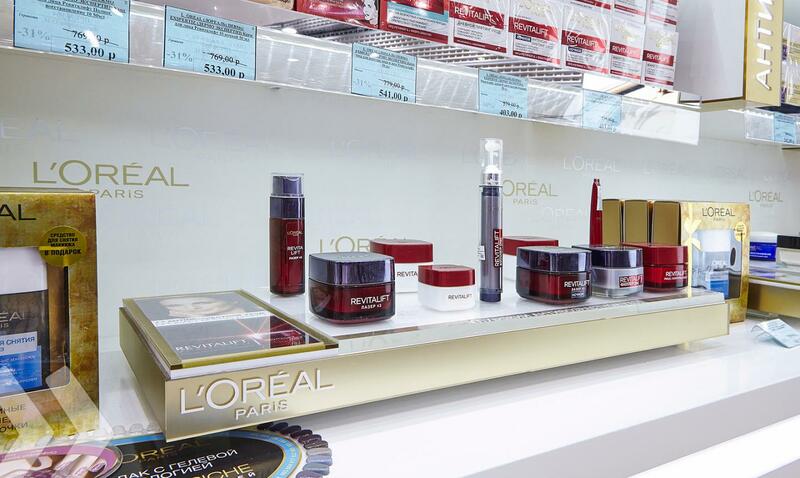 cache of the brand. 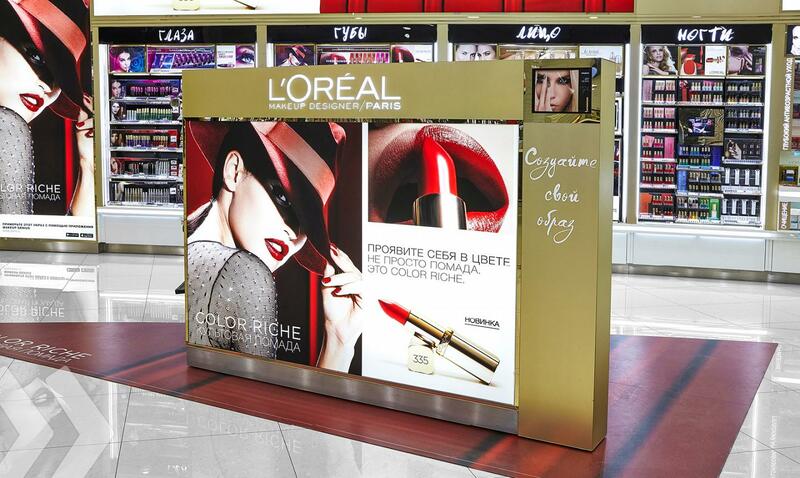 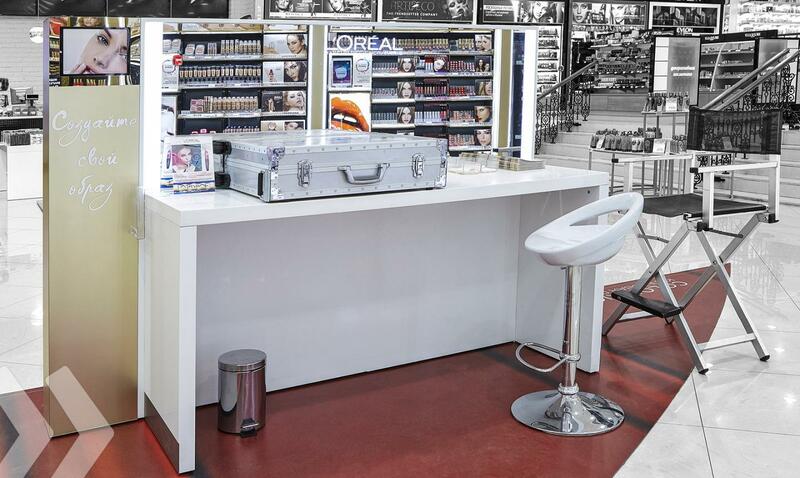 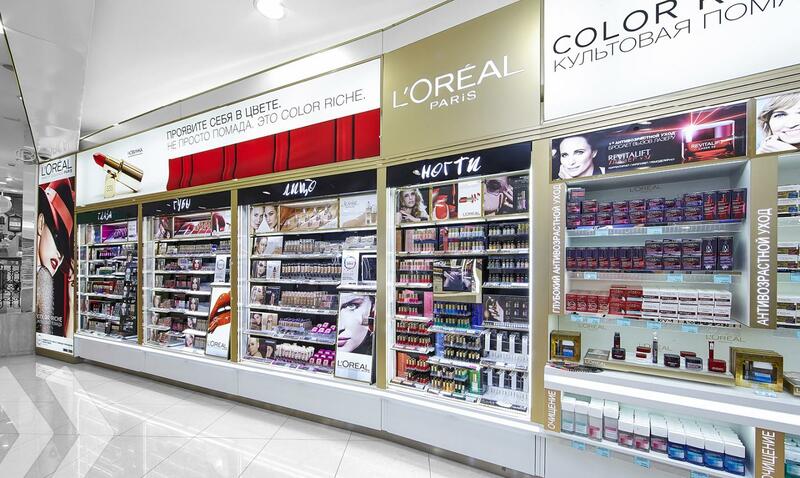 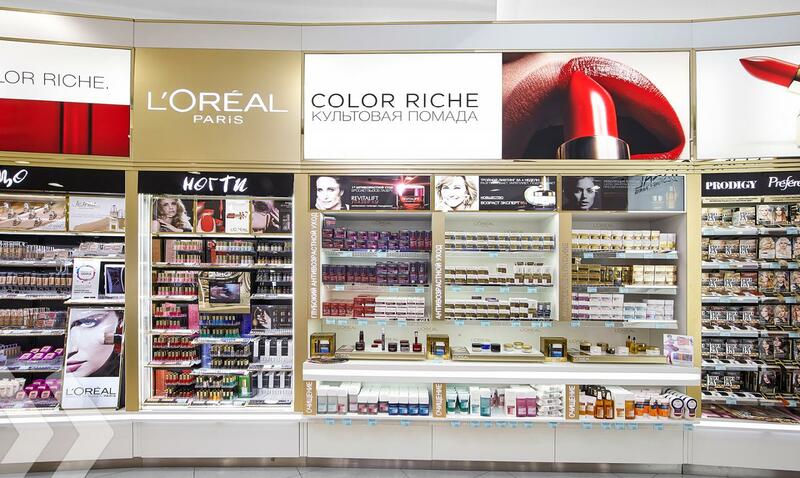 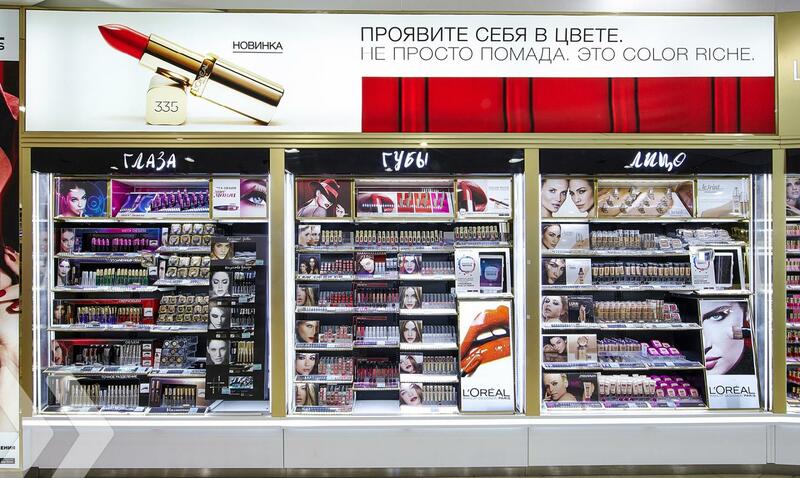 The golden highlights, generously proportioned pictures and high-class make-up table, which invites visitors to test the products, create an all-encompassing L`Oréal world. 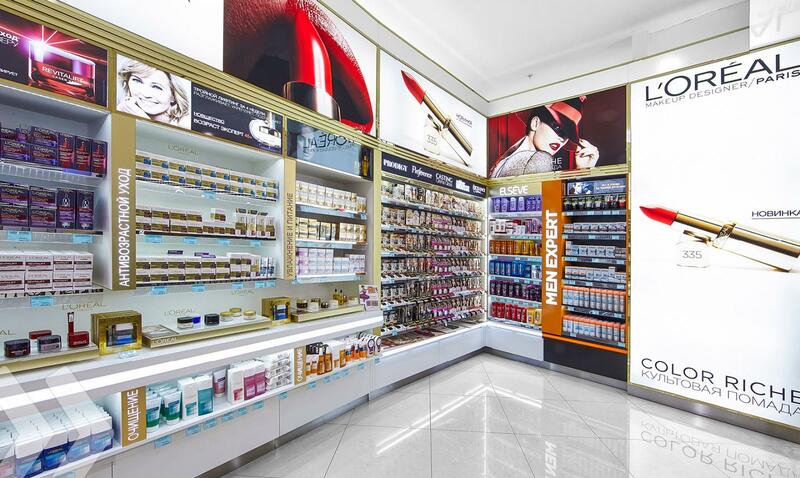 Both cosmetic and care products are displayed in a way that ensures customers can find their desired product quickly and easily. 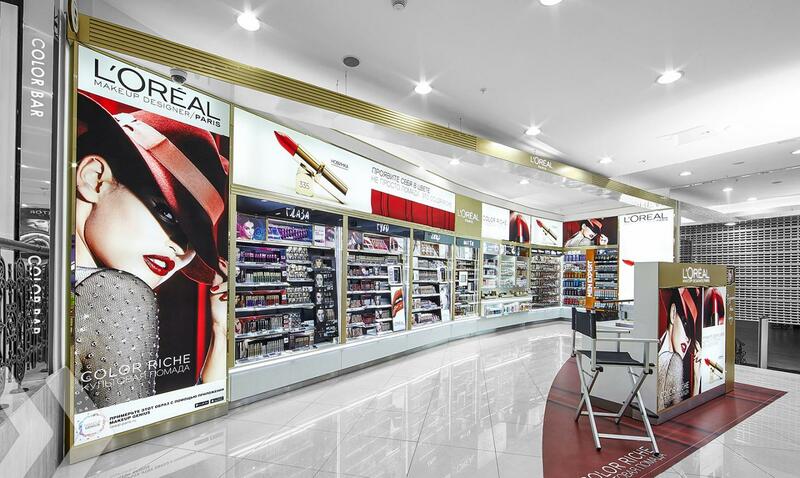 Equally, the dramatic header and wall design make navigation around the system straightforward. 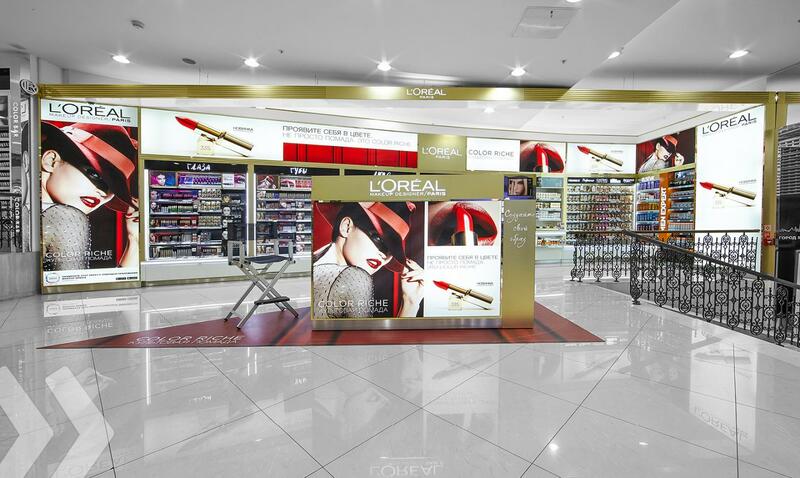 And almost all of the installations took place overnight, meaning customers weren’t disturbed at all.